at the Aesthetic Everything Beauty Expo Trade Show, Hosted by Gretchen Christine Rossi. 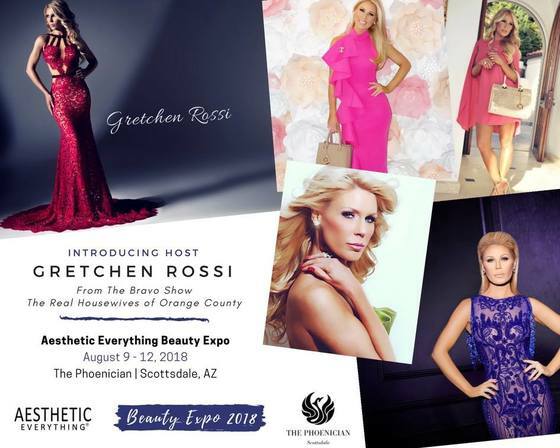 The number 1 Aesthetic Trade Show in the southwest that will draw in over 2000 national and international aesthetic and beauty industry professionals. Over 100 Exhibitors, 50 Key Note Speakers and exceptional evening events and networking at the beautiful 5 Diamond Phoenician Resort in Scottsdale, Arizona.